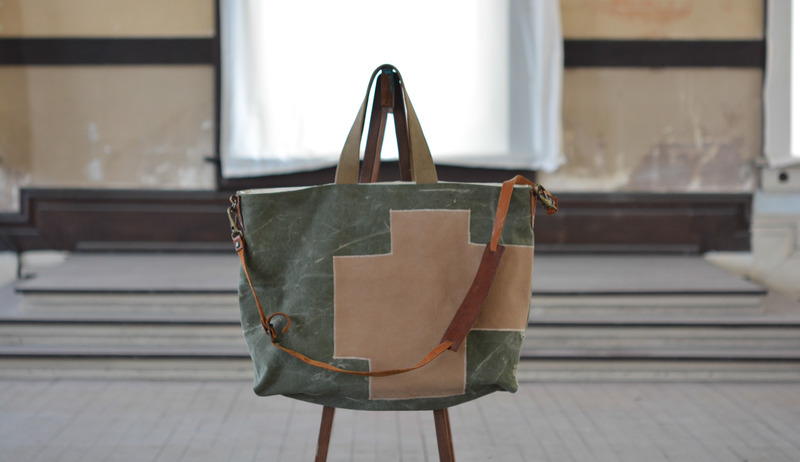 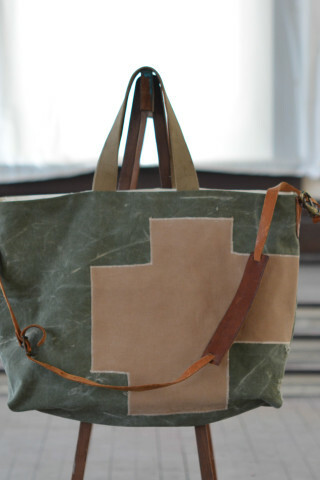 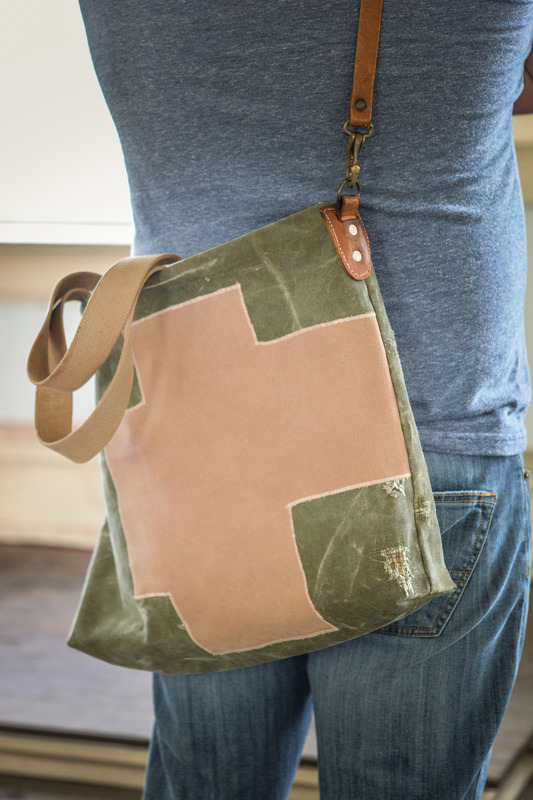 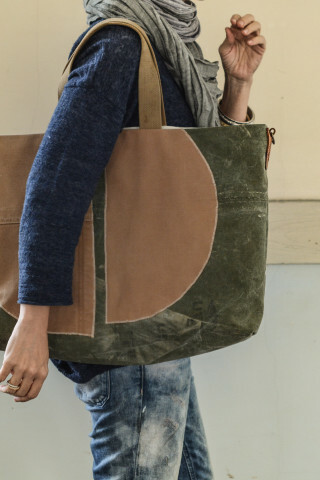 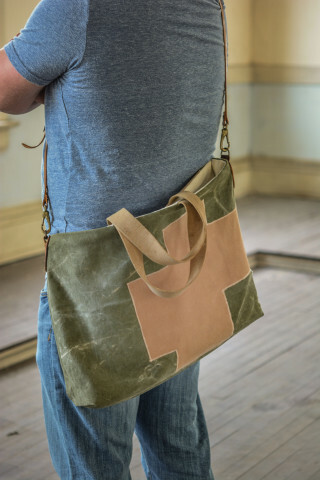 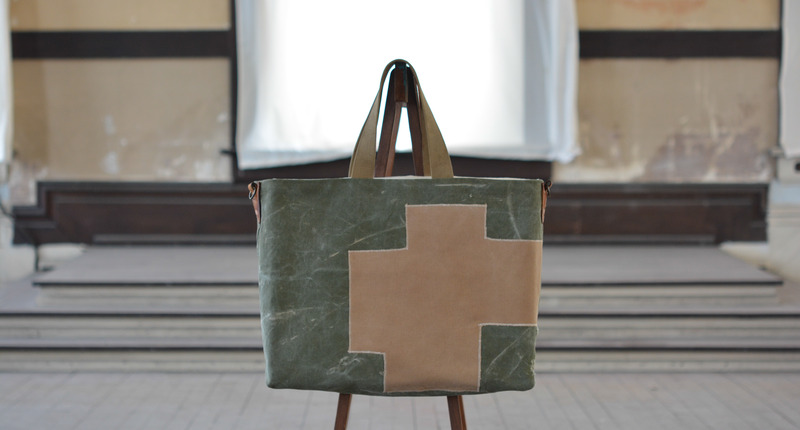 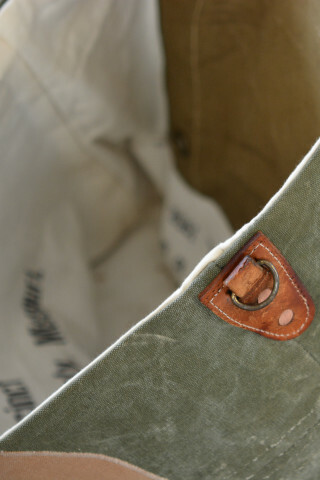 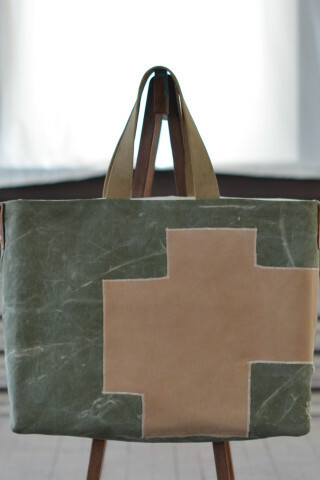 Cirkel Tote is made from a World War 2 Medic duffle bag. 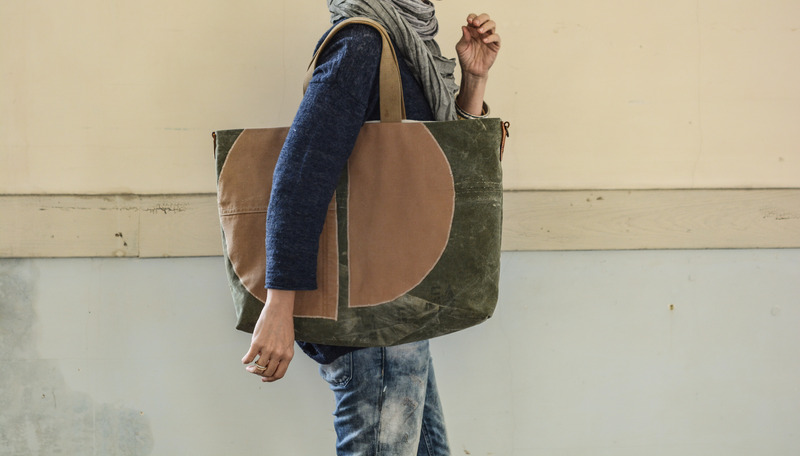 It has canvas shapes that are made from a pair on mens Carhartt. 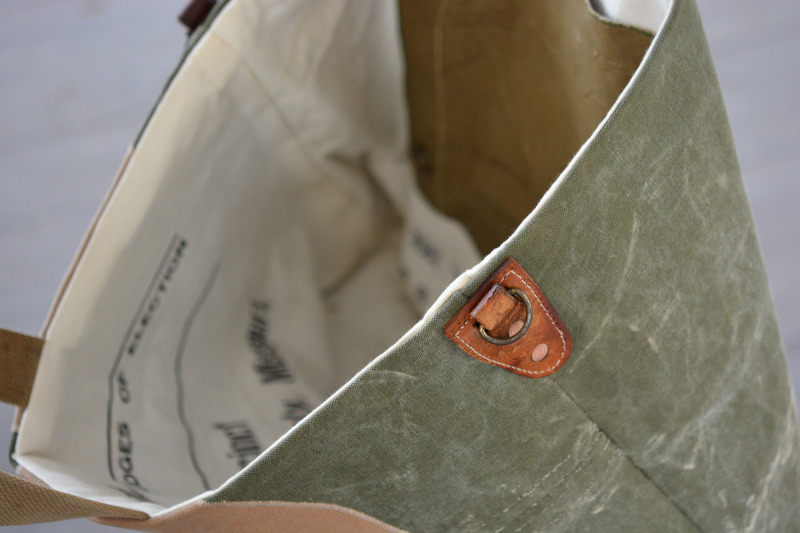 The inside lining is a Voting Election Bag from Missouri 1958.